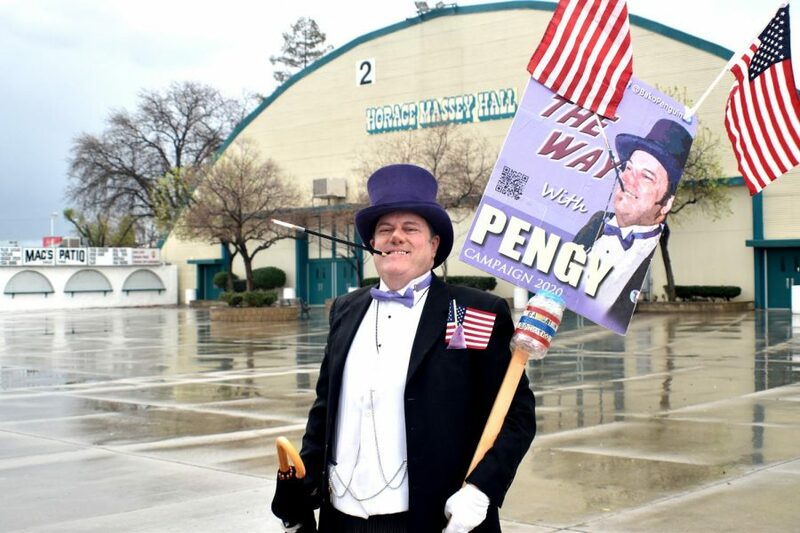 John Wilson dressed as the Penguin from the "Batman" franchise. 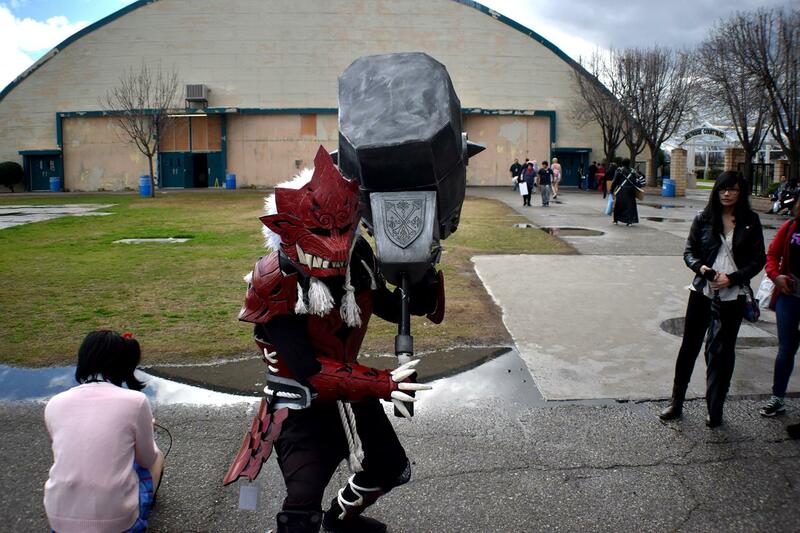 Bak-Anime, Bakersfield’s annual Anime Convention wrapped up its two-day event on Feb. 3 at the Kern County Fairgrounds. Bak-Anime is the sister convention to Sac-Anime, a similar convention held in Sacramento, and has held events for multiple years in Bakersfield. 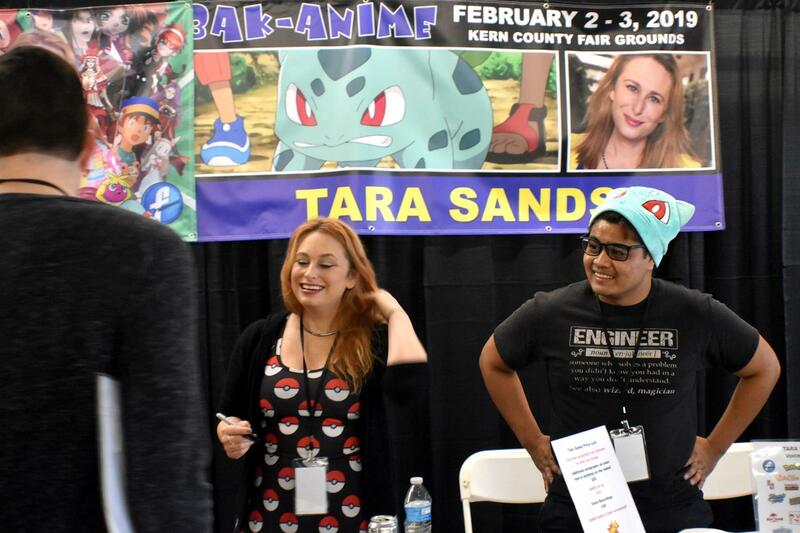 The convention was highlighted with appearances by Kenny James, the voice of Bowser from the “Mario Brothers” Franchise; Tara Sands, the voice of Bulbasaur from the “Pokémon” franchise; and Cassandra Lee Morris, the voice of Leafa from the “Sword Art Online” anime series. They met with fans at autograph signing booths and Q&A segments in one of the convention halls. The Q&As saw a good number of attendees. Tara Sands interacts with fans at her booth. The event was received by the community with open arms and huge attendance by Bakersfield’s ever-growing anime fanbases and multiple businesses. Anime, a type of Japanese animation in film and movies has been rapidly growing in influence in pop culture in recent years. Anime favorites such as “Dragon Ball Z” and “Naruto” have become all the rage with American audiences rather rapidly going into these last couple of years. With a wide array of subgenres and movies becoming widely popular like “My Hero Academia” and “Your Name,” the rise of anime among Americans seems to have no end in sight. 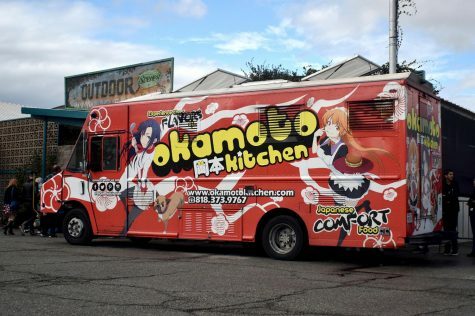 The convention also offered cosplay contests, a swap meets, and multiple local vendors such as Okamoto Kitchen whose known for Japanese dishes such as Chicken Nanban, Cheese Mochi, and Classic Style Japanese Curry. Cosplay was a huge event at Bak-Anime this year with large amounts of Bakersfield natives dressing as their favorite characters. 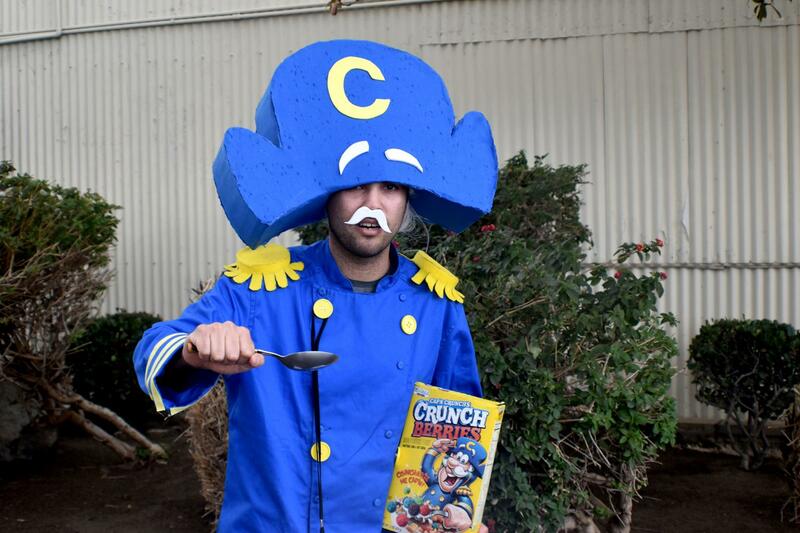 Great cosplays of famous characters were all around such as the “My Hero Academia” cast, Cap’n Crunch and The Penguin from the “Batman” Franchise. John Wilson dressed as the Penguin from the “Batman” franchise. Although not exactly anime characters, the cosplayers John Wilson (The Penguin) and Ricardo Ochoa (Cap’n Crunch) came in amazing cosplays and were welcomed with open arms. Jessie Aniel cosplaying as an unidentified character. Other events such as the gaming demonstrations and related events drew a sizable crowd as well. Multiple contests were held in fan-favorite games such as “Super Smash Bros” and multiple MMORPGs. With Bak-Anime’s annual event wrapped up, it’s on to next year for Bakersfield’s anime fanbase.